Spin labeling of peptides plays an important role in the investigation of protein interactions by NMR. BIOSYNTAN offers two different types of spin labels. 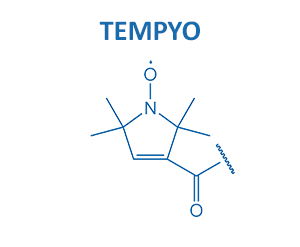 TEMPYO can be attached N-terminally or to any other amino group present in the peptide. 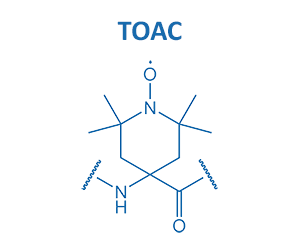 TOAC can be used analogously to any amino acid building block, and can be placed at any position of the peptide.